Europe is a dream travel destination for many people. While the same sentiment is expressed by people who love traveling with their dogs, they have to be a little more discerning when it comes to choosing specific countries in Europe that will be more welcoming of their pet. Here, we reveal five of the best cities in Europe where you and your dog will surely have the best time together. 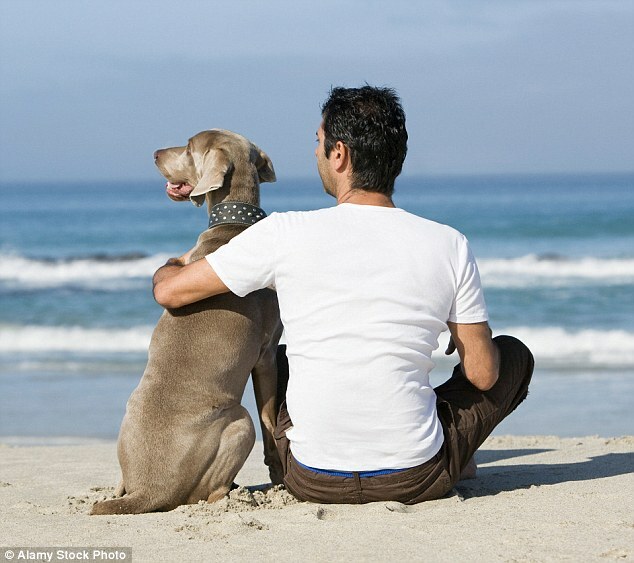 Before anything else, you have to plan very well for traveling with your pet. Wherever you’re coming from, it is likely that the best way to travel with a large dog or a small dog is by taking a plane. Research on the procedures and requirements of taking your pooch with you and you will have resolved a big chunk of the whole “travelling with a dog” challenge! Berlin. A popular travel destination for art and culture, this German city is also one that is very friendly towards dogs. One of the best ways to get around with your dog is by joining a walking tour of the city’s top historical sites. Alternatively, a steamer cruise ship is a more relaxing way to get around – and one that welcomes dogs as well. The highlight of Berlin as a dog-friendly European country is the pet-friendly nature of its public transportation system. For as long as you get the right ticket, you’ll have no problem exploring around with your pet. The city also has many cafes and apartments that welcome dogs and go the extra mile to make them feel right at home. Amsterdam. You’ll immediately know that Amsterdam is pet-friendly once you realize that the city is practically teeming with dogs! The reason for this is probably because Amsterdam has so many beautiful parks that are perfect for sightseeing with a dog or two. Except for galleries and museums, dogs are pretty much allowed all over the city. Places that have no choice but to decline dogs as visitors have a sign that says ‘no dogs allowed’ for your information. They are also allowed to travel for free on public transportations, with the exception of trains that have a dog surcharge of 3 euros. Going on holiday by yourself can be a very unique experience, especially if you’re intentionally disconnecting from the urban world. Unfortunately, it’s getting harder and harder to find completely open areas you can roam through, which can really put a damper on your trip. Hokkaidō has a huge amount of open space, ranging from natural scenery to protected national parks. Hiking and skiing are not only allowed, but encouraged in certain areas, and there’s nothing pressuring you to rush through your trip and see everything at once. The cities are free of the industrial atmosphere you’ll find in other areas of Japan, making them much nicer if you’re hoping to spend your holiday surrounded by nature. Ireland isn’t a flashy destination that everybody would choose, but there’s plenty of flat fields and historic castle ruins to explore. 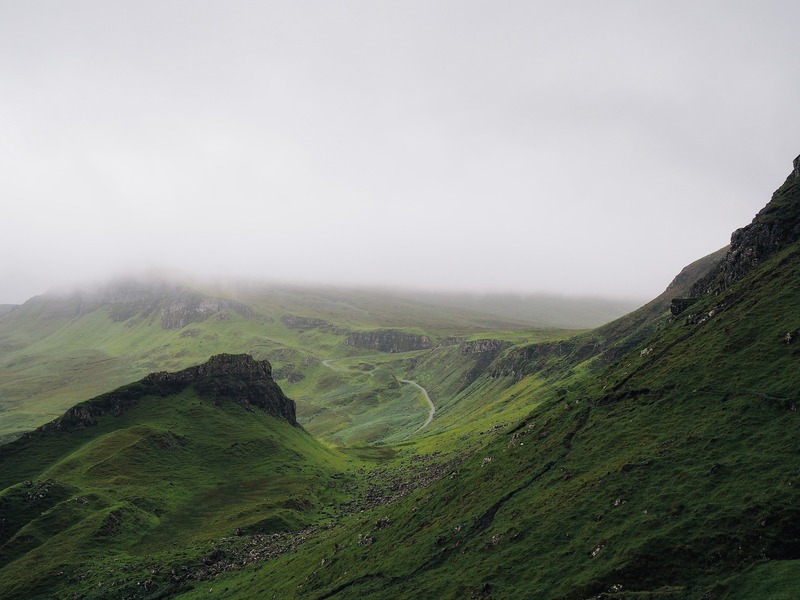 There’s plenty of pubs and cafés to relax in if you’re starting to get tired, and none of the terrain will be too difficult or dangerous to explore, so camping and cycling are incredibly easy to arrange! Vietnam is great for solo travellers as it’s easy to explore during your stay. You might need to bring some extra sunscreen, since the weather is usually really good, but other than that you can just take it easy and relax! This city is one of Eastern Europe’s busiest nightlife destinations that is teeming with hot and urban nightclubs, attracting swarms of young party-goers from all over the continent. The reasons why Bucharest has such a formidable party reputation are numerous. For starters, this entire country is incredibly affordable, with your average evening drinks ranging between 1-3 Euros. Restaurants and public transport are also budget-friendly so you won’t have to spend your time like a vagabond here. Additionally, lots of neon-lit nightclubs have a high-end audio-visual production, the crowd is gorgeous and vibrant, and should you need to cure a hangover like royalty, the Therme Spa treatment center, the largest in Eastern Europe, is available at your leisure. For some people, the thought of cruising from one destination to another is heaven, while for others the thought of being stuck on a boat for a week is hell. But maybe there is the option to please both. I’m a very active guy. For a long time I was definitely one of those types that viewed cruise ships more like prisons than getaways. Yet after being cajoled into taking an expedition cruise to Antarctica, I was hooked! So why was I hooked? The main reason was the type of cruise itself. It was an expedition-style cruise which is far different from standard mega cruise itineraries you would find on Royal Caribbean or P&O. Expedition cruises have a sharper focus on wildlife and active pursuits which I explain in this article. For active people searching for the perfect getaway, these 6 cruises are sure to get your juices flowing. I’ll start with my favourite. Antarctica is an alien landscape where icebergs the size of small cities dwarf your ship. The Basecamp itinerary has a particular focus on activities. During the cruise you’ll camp out on the ice for one night, go sea kayaking, snowshoeing, hiking and much more. You’ll see plenty of penguins, seals and whales along the way. If you want, you can also choose to do the ‘Polar Plunge’ and jump into the icy waters from your boat – cold but epic! The Galapagos Islands really need no introduction. The unique wildlife and landscapes make this archipelago completely captivating. Nothing can really prepare you for the close wildlife encounters. On almost every cruise itinerary you’ll swim with seals, sea turtles, sharks and marine iguanas. Special dive-focused cruises give passengers the chance to dive each day and also take regular snorkelling trips. This is a very active trip and you’ll be exhausted in your bed each night – well worth it though. Whether you plan to visit or have just moved to Fresno and want to start exploring, California’s fifth largest city just behind San Francisco with a population of around 520,000, offers lots of options, but these are arguably the first you should check off your must-see and -do list. Listed on the National Register of Historic Places, the Forestiere Underground Gardens offers a unique view of ancient Roman architecture along with a variety of trees, vines and shrubs, some of which are nearly a century old. Built over 40 years by Sicilian immigrant Baldasare Forestiere, visitors walk through underground passages and rooms for a glimpse of the Mediterranean in the heart of California. Established in 1940, this small but impressive museum offers a wide range of exhibits with works from nearly every culture and location around the world, from Peru and Mexico to the Punjab region of India. It also hosts artist talks, workshops and educational programs. Popular with all ages, Fresno’s zoo is home to nearly 200 species of animals, about half of which are part of the Species Survival Plan that focuses on protecting and breeding rare creatures. Some of the highlights include the African Adventure in which visitors can view giraffes, elephants and cheetahs, a petting zoo and Stingray Bay which offers the chance to touch and feed stingrays. Home to one of the natural wonders of the world, Niagara Falls is a famously busy tourist destination throughout the summer months. With half of the iconic falls in upstate New York and the other half in Canada, the area receives its fair share of snow and cold temperatures throughout the winter. However, as any Niagara native can attest, the onset of winter doesn’t mean the area goes into hibernation. No matter the time of year, travelers are sure to find a wide range of fun-filled attractions when visiting Niagara Falls. No one visiting Niagara Falls during the winter months can afford to miss the Ontario Power Generation Winter Festival of Lights. A historic tradition dating back to the early 1900s, the Festival of Lights entails picturesque winter-themed lighting displays being placed all around the city. 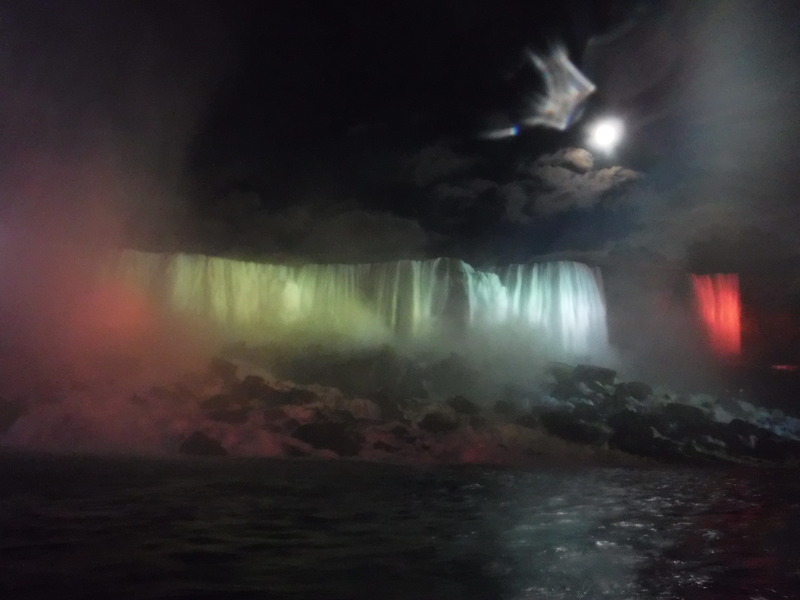 These displays grow more impressive by the year and ensure that anyone walking through key areas of Niagara Falls at nighttime is able to enjoy a fantastic show. The Festival of Lights lasts from November 3rd to January 31st, making it the perfect attraction for holiday travelers. Wine connoisseurs won’t want to miss out on the Niagara Icewine Festival. Lasting from January 11th to January 27th, the Icewine Festival provides attendees with a prime opportunity to sample an assortment of delicious wines from the Niagara region’s world-renowned wineries. Of course, this isn’t to say that this festival only caters to wine lovers. In addition to showcasing a bevy of fine wines, the Icewine Festival also provides guests with world-class local cuisine and quality entertainment. Couples looking for the perfect weekend excursion are sure to have a ball. Anyone looking to have their funny bone tickled should pay a visit to the Icebreakers Comedy Festival. Now entering its sixth year, this festival lasts from January 23rd to January 26th and is the largest comedy festival in the region. The organizers pride themselves on booking the hottest talent in Canada, so anyone who shows up can rest assured that they’re in for a good time. Additionally, since the Icebreakers Comedy Festival is considered part of the Niagara Icewine Festival, travelers who show up for one can easily attend the other. Winter road trips present a host of challenges. Of course, the weather can be a factor, considering where you’re driving, but there are so many other elements to consider as well. Especially when you’re traveling with your family and with your children, it’s important that everyone feels safe to have a smooth and seamless road trip. Safety is one of the basic fundamental human needs, and children are especially affected by this need. Here are the main reasons why it’s important for your kids to feel safe on winter road trips. When kids feel truly safe, they are able to relax and rest. In the case of road trips, this means they’re able to sleep, or just relax to a level of calmness that keeps everyone happy. Especially when you are driving long distances, it’s necessary that kids find time to sleep – and this can only really happen if they are incredibly tired, as well as if they feel safe. So, make some preparations to make sure that your kids feel safe and comfortable. Encourage them to bring along their favorite books and toys, bring some familiar snacks, play soothing and enjoyable music. Especially for the first hour or so in the car, creating an environment of safety and support is crucial. Bring travel-friendly pillows and blankets as well (or maybe their favorite pillow or stuffed animal), so your kids feel as safe and secure as possible. When you feel safe, you are then able to experience a broad range of other emotions, including happiness. The same applies to children. While road trips, especially road trips with children, are not typically an experience that we associate with happiness, there’s no reason why your winter road trip can’t be a happy one!